Vacation rental house. 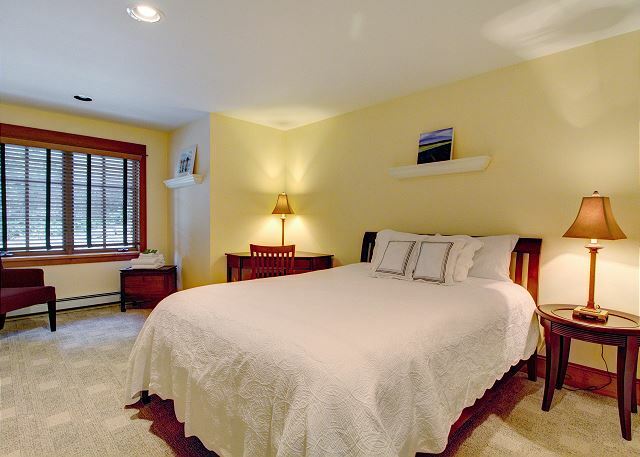 Sleeps 6, 3 bedrooms, 2.5 bathrooms. No pets allowed. Stairs from property to beach. Stairs are seasonal. The Lodge at Pebble Beach as seen from the water side. (Lodge at Pebble Beach) - WATERFRONT! 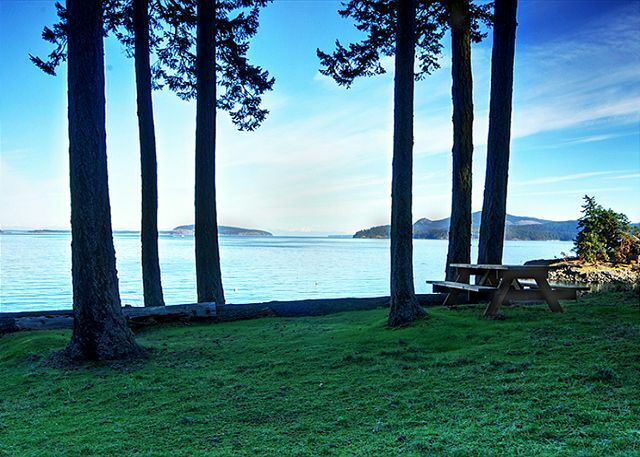 Experience one of San Juan Island's finest vacation homes! 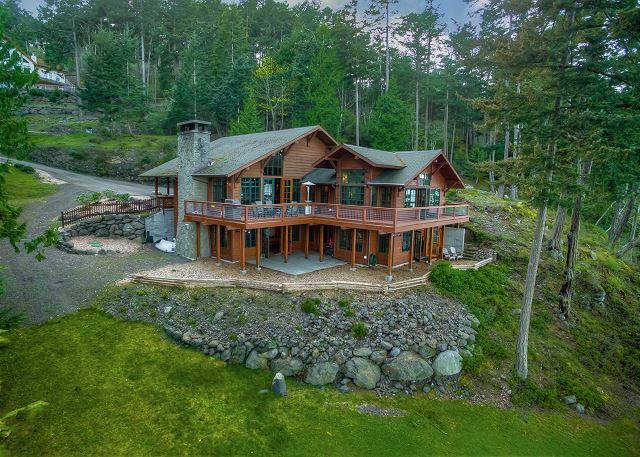 The Lodge at Pebble Beach is nestled among the firs, pines, and ferns along the waters edge in a quiet neighborhood ideal for walking and wildlife viewing. 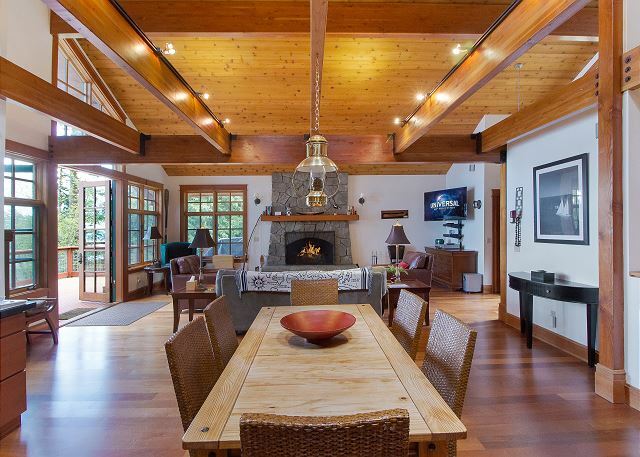 The Lodge's great room offers dramatic vaulted ceilings, large windows, and French doors opening to the main level deck perfect for admiring passing boats and the occasional whale pod along San Juan Channel. 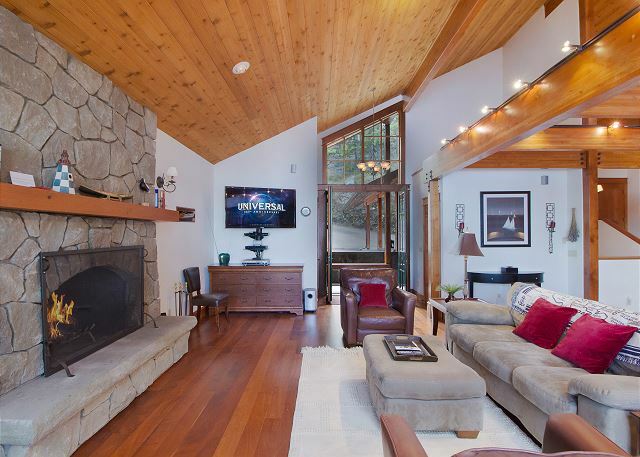 The living room is furnished with a large comfortable sofa and leather chairs around the stone fireplace and entertainment center complete with satellite television, DVD, and stereo system. 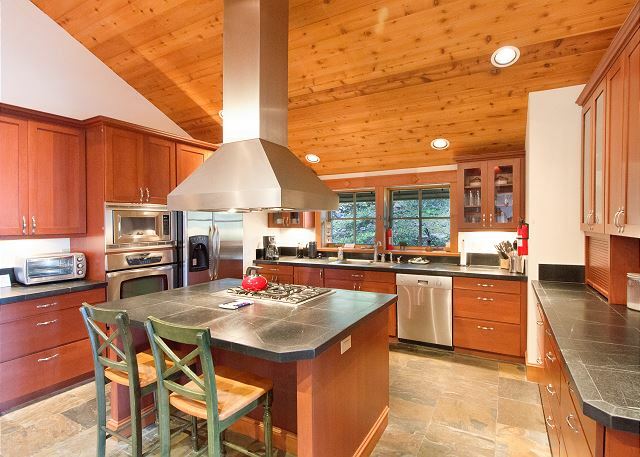 The gourmet kitchen is fully equipped and features stunning cherry cabinetry, stone counter tops, stainless steel appliances, cooking island with propane range, and breakfast bar. 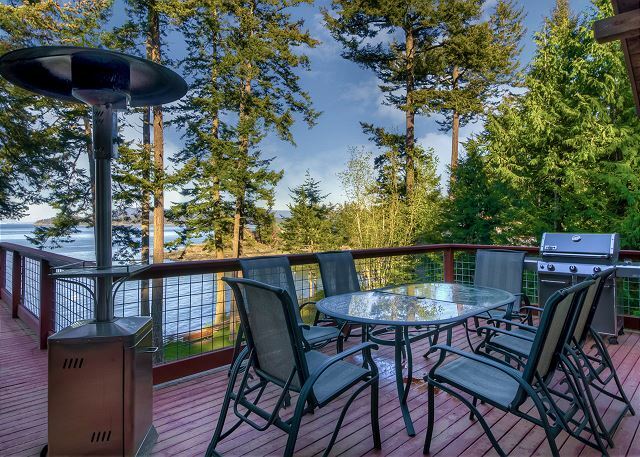 The waterside deck is complete with BBQ and outdoor furniture. 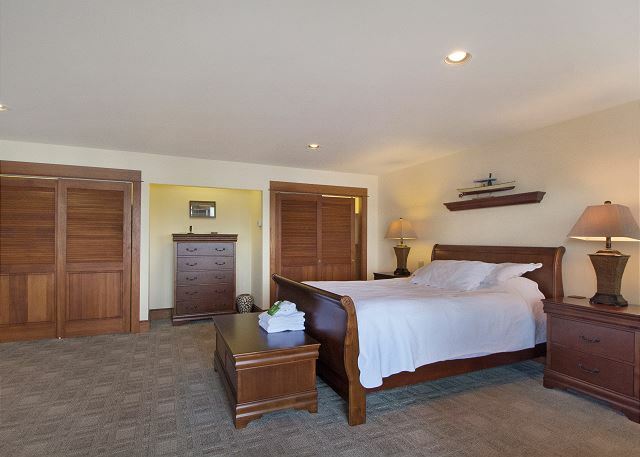 The main level master suite offers water views, deck access, king sized bed, a relaxing Jacuzzi tub, and separate shower. 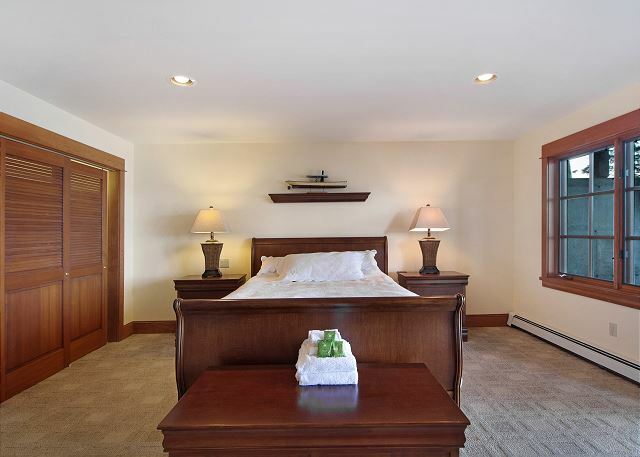 The lower level includes two bedrooms both furnished with queen sized beds, a bath, and a large game room with pool table, a propane fireplace, and a natural wood sauna. WiFi with 50 MGPS fiber optic internet and long distance phone service are available as well. 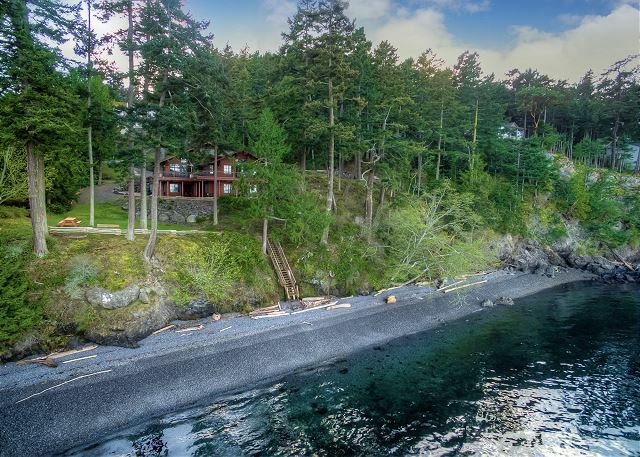 There is a private pebbled beach just steps from the house accessed from a medium bank waterfront via stairway. 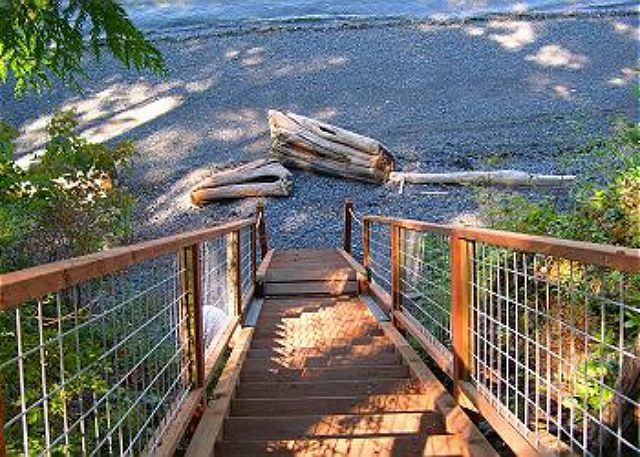 The stairs are seasonally retracted from the beach to avoid damage in the off season months. A mooring buoy is available for boats up to 30' (tide charts must be consulted). Our friends fell in love with this home! Our visiting guests did not want to leave because they loved it so much out there. Beautiful home! Will send other friends there. We were back at the Lodge at Pebble Beach for the 5th year and had an amazing stay. My kids hit the door saying "we're home!" We've truly come to love this place and the serenity it brings. Lots of time skipping rocks and listening to the waves crash on the beach or just grilling. The amenities are fantastic. It's definitely our home away from home. We loved the house. Very clean. Great location. 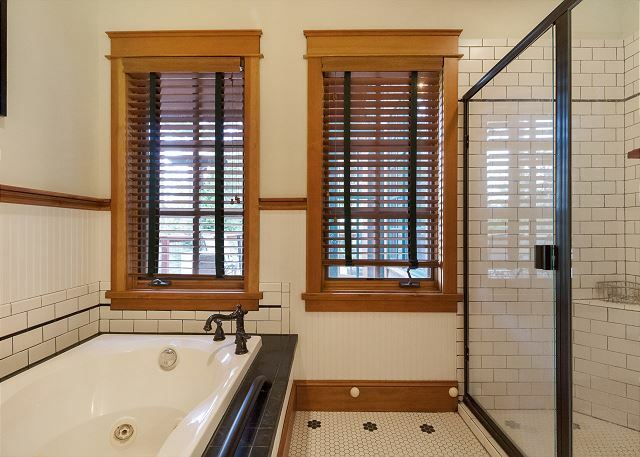 The only complaint is that the master bedroom needs blinds. 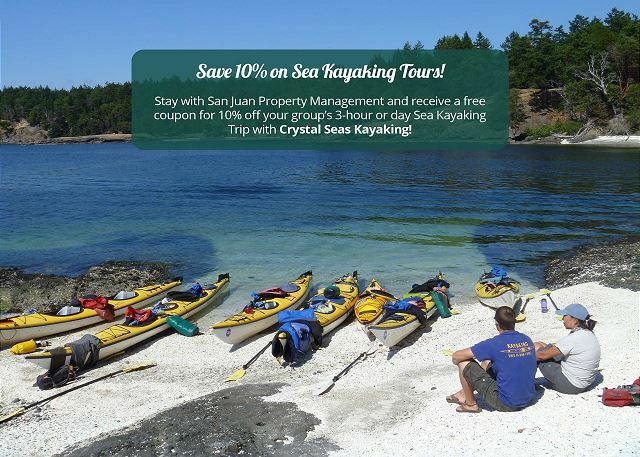 We had a wonderful time - the location was easy to reach once on the island and was close to both Friday Harbor & Roche Harbor. Our only complaint was the downstairs queen mattress needed replacement. The property management was very nice and responded quickly to some minor issues. We loved the lodge at Pebble Beach, a great location. Well furnished and maintained it was the perfect location for a little family get together. Roomy and comfortable, it gave everyone plenty of space and privacy with great communal areas to dine and socialize. 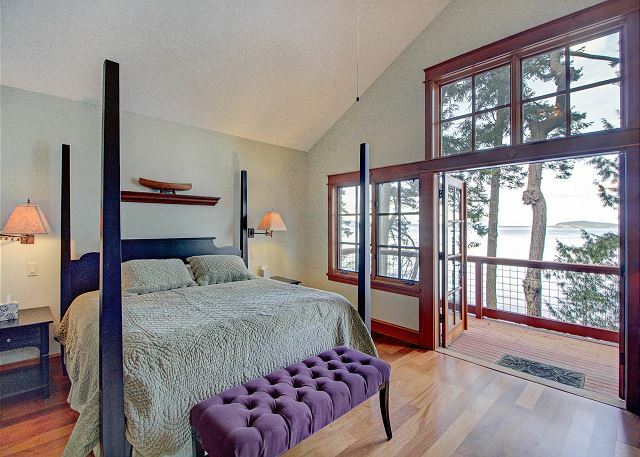 We loved the big fireplace and the deck, the master bedroom was a delightful place to wake up. 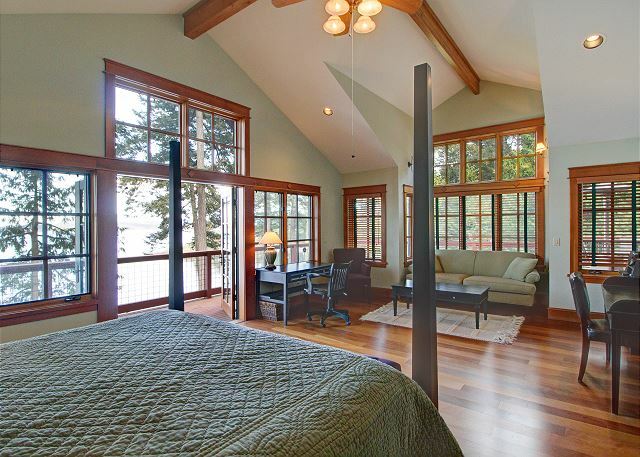 Great property, amazing views from the bedrooms. For the 5th year, we enjoyed SJI and the Lodge at Pebble Beach. It's our summer vacation home away from home with everything we need and the soft rhythmic sounds of the water lapping up on the beach. We love it! My wife and I plus our daughter and her husband truly enjoyed our stay here. 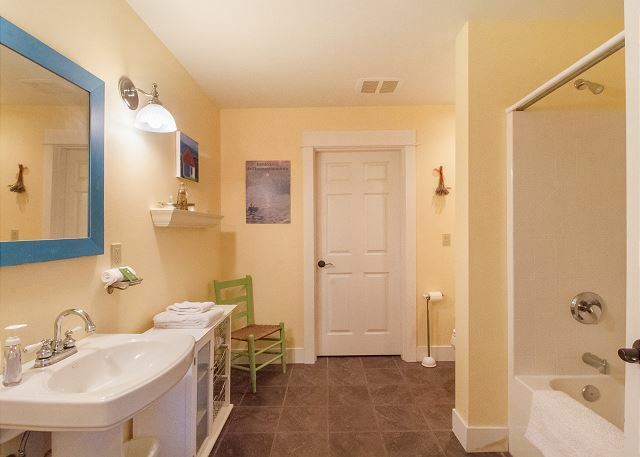 Plenty of space to get your privacy but wondrous spaces to enjoy our time together. We can't wait to get back here as soon as we can. The property description was accurate. It was very clean and well maintained. The manager provided a very good service. I would definitely recommend this property for others. 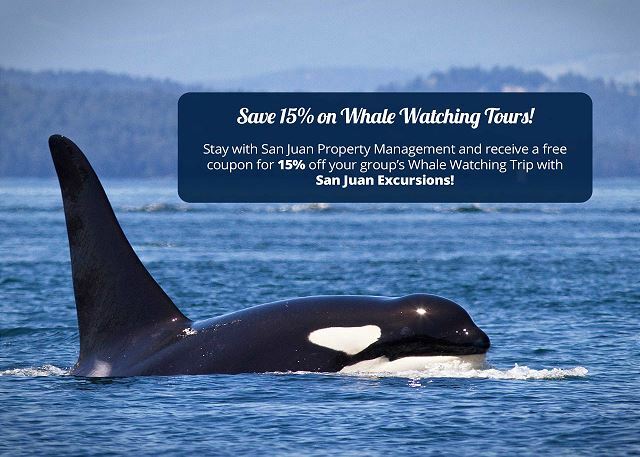 We were able to see lots of whales at Lime Kiln Park, had too much ice cream from the red ice crea building next to the ferry landing, and bought a nice king salmon from the fish vendor at Friday Harbor to cook at the house for all of us to enjoy. Loved the access to the calm waters on this side of the island for kayaking and paddle boarding. 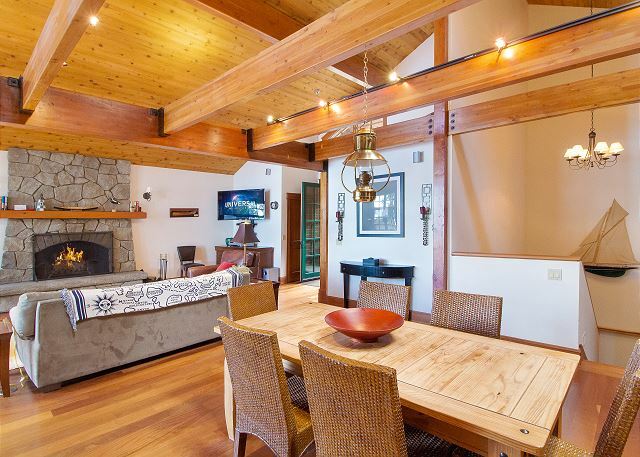 Great space for family with large living area and decks! Only suggestion would be sharp knives for kitchen and non-stick pans! We love staying at this property. The sounds of the waves at night, the great space for the kids to run and play and the great layout of the house are always a reason for us to come back here. 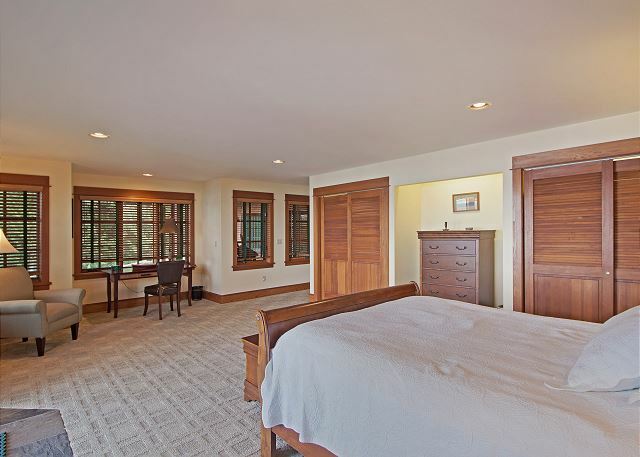 With gorgeous water views from two of the three spacious bedrooms, easy rocky beach access, and all of the modern conveniences, this was the perfect place to get away in luxury. Just be careful if you have a sedan or other non-SUV vehicle because you will barely scrape past the ridiculously large speed bumps that are on the only road in to the property. They were the only complaint we would have about the entire experience. We definitely plan on returning for another peaceful stay. If you can't afford to buy a million dollar home, rent one! This home is stellar. 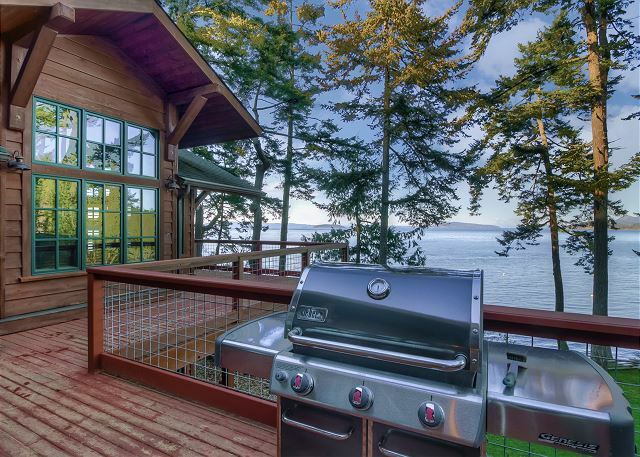 The views are what one would want from a vacation home. The owners have supplied a pair of binoculars which we used everyday and saw seals swimming each afternoon. The home is in excellent shape, furnishing are comfortable, kitchen is more than adequate. 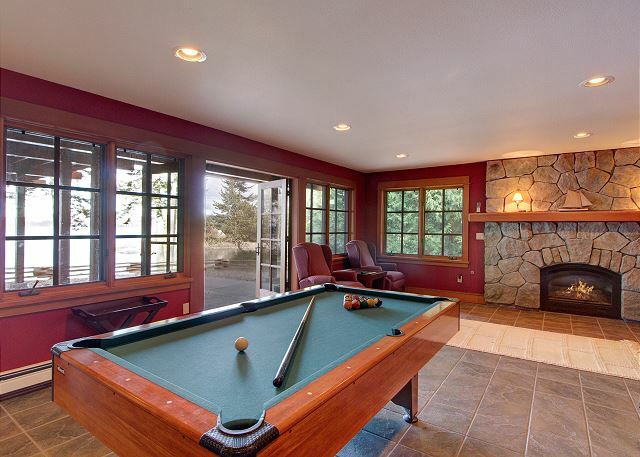 Our boys loved the mini pool table and large screen tv. You won't want to leave this beautiful home. Lovely home in a peaceful setting. It accomodated our group well. Two slight flaws were the lack of closet access in the master bedroom which was inconvenient, and the slightly musty odor downstairs. Other than that, I wish this were MY house! We loved this house! It was in a very quiet area, but still close to both Friday Harbor and Roche Harbor. The view from every room was absolutely stunning. It's a beautiful, well equipped house. It was perfect for my family of 5+ a grandparent. We all enjoyed the inside and the outside (what a view) and it was also great to have the private beach all to ourselves. We can't wait to go back! We had an amazing time just relaxing on the wrap around porch of this amazing property. We geared down and listened to the wave roll in at night with the windows open. It was a welcome escape from the 100+ degree temperatures of Texas. The perfect summer getaway for our family. 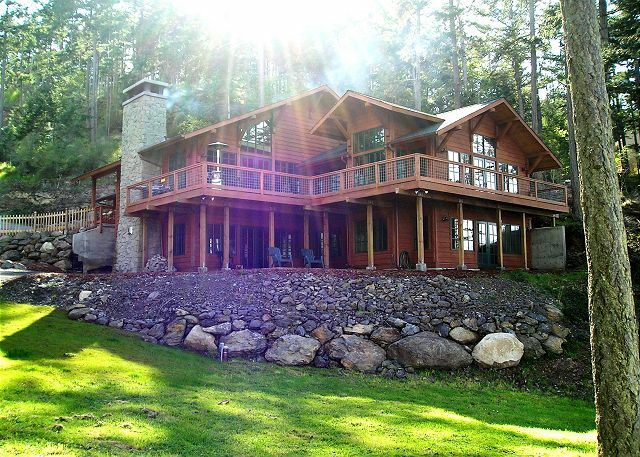 Great Property, Pictures don't do it justice! Lovely home, we will be back again, fell in love with San Juan and the property! You will be simply in awe of this house when you walk in. 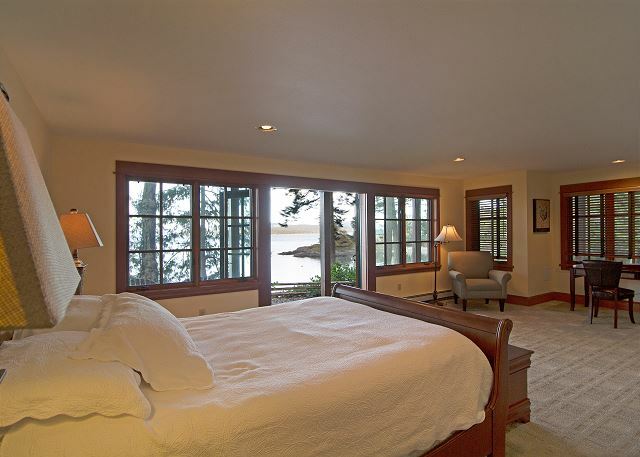 The interior is beautiful, the view of the water is breathtaking and the bedrooms are huge. We even walked in to classical music on Direct TV (nice touch). 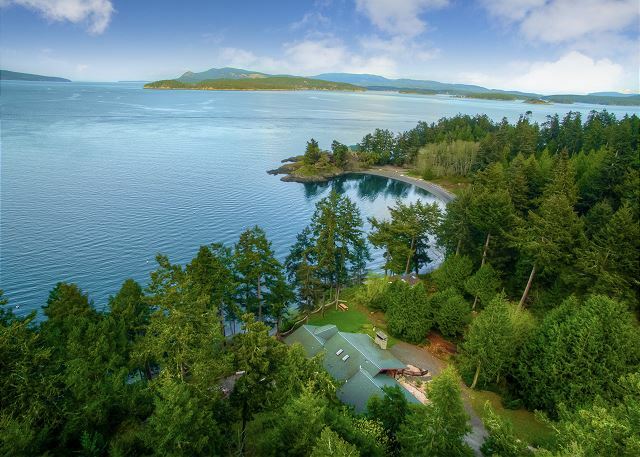 We can't say enough about this property. 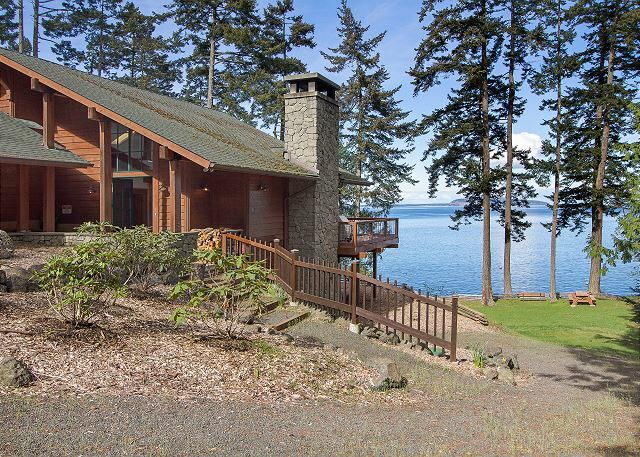 Its about a very short 3.5 miles from the Roche Harbor resort and is very easy to find. We stayed there for a friend's wedding and the wedding party said that our place was the nicest rental of any of the guests. They went to each location to drop off gift bags so they knew what they were talking about. We would stay there again in a heart beat. Incredible spot. Only spot to stay in San Juan. Our family really enjoyed staying at the Lodge at Pebble Beach. It's such a beautiful home and the view is absolutely to die for! The beach was so nice to walk on. We found a few sea shells and launched our canoe. The wood burning fireplace was nice and cozy on those cool June evenings. We loved this home so much we were sad to leave. We're looking forward to another visit very soon! This home was more beautiful than the photos could capture, and incredibly well-stocked! Our two resident chefs were beside themselves. 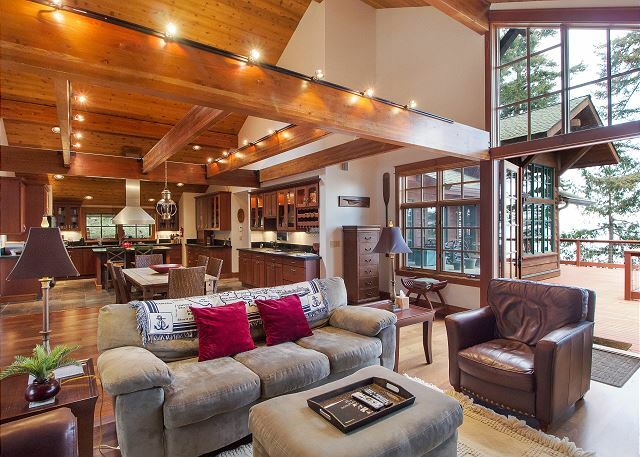 Thank you to the owners for making your exquisite home available to share with us! Highly recommend this home.